Netflix will bring Orson Welles’ generations-awaited final work to computer and cineplex screens. 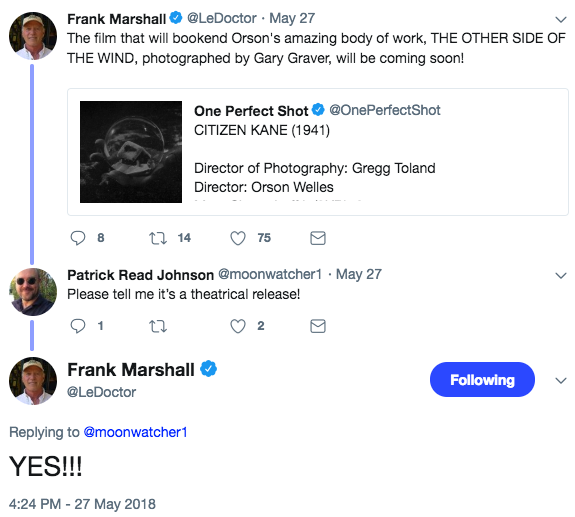 Wellesnet first reported the theatrical release, revealed in a May 27 tweet from Frank Marshall, production manager during the original shoot (1970-1976). More than 1,000 reels of film negatives languished in a Paris vault until March 2017, when the streaming service acquired the footage, entrusted it to a Marshall-led team of editors, and footed the completion/restoration costs. A source close to the studio confirmed to IndieWire that “The Other Side of the Wind” will have numerous cinema showings, but details for the rollout are still being planned. Netflix owns global rights to the film. Last year, Netflix’s “Okja,” “Mudbound,” and “The Breadwinner” each had a limited theatrical release. Royal Road Entertainment’s Filip Jan Rymsza, one of Marshall’s closest collaborators on the resuscitated project, previously told Wellesnet that one provision of their agreement with Netflix was turning over a 35mm print of the finished film. 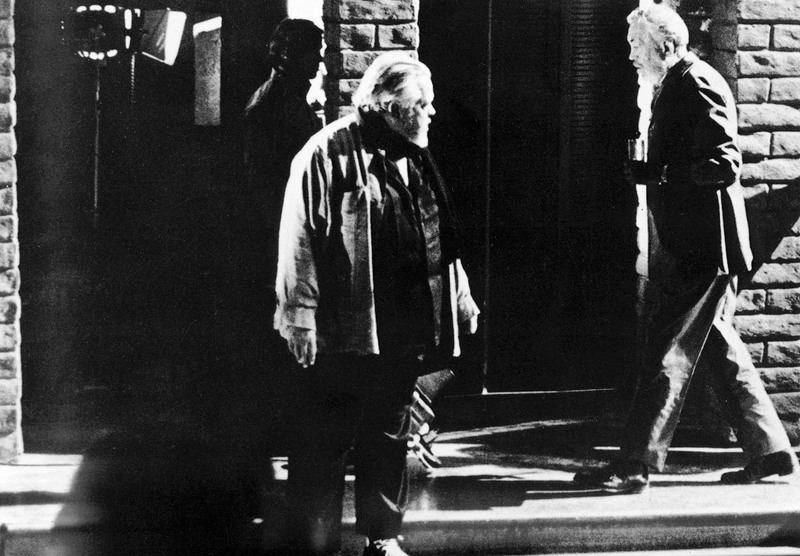 Welles, the recipient of screenwriting (“Citizen Kane”) and honorary Oscars, died in 1985. He co-wrote “The Other Side of the Wind” with one of its stars and his mistress, Croatian actress Oja Kodar. Shot in black and white, the narrative is split between comeback-obsessed director Jack Hannaford (John Huston)’s 70th birthday party, and the namesake film that will be his last. Huston and Kodar’s co-stars include Robert Random, the late Dennis Hopper, and Peter Bogdanovich, who consulted on the Netflix version and attended the private first screening alongside Paul Thomas Anderson, Quentin Tarantino, and Rian Johnson this January in Santa Monica, California.